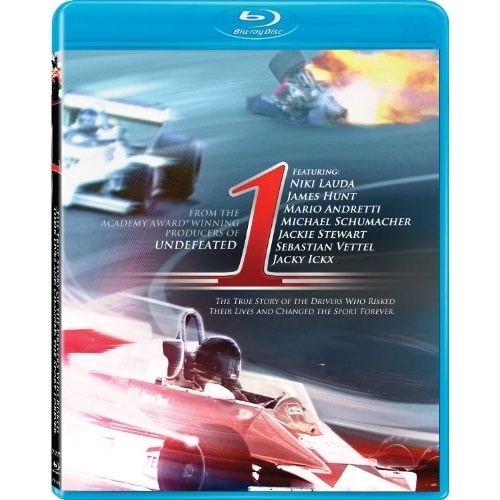 1 is an action documentary showcasing the glamour, speed, danger and excitement of Formula 1 Grand Prix racing. Narrated by Michael Fassbender, the film tells the story of the golden age of Formula 1, when the sport became terrifyingly dangerous. In the late 1960s, Formula 1 cars doubled their engine size and sprouted wings, making them incredibly quick, but even more hazardous. With money pouring in from sponsorship and a new worldwide television audience, superstar drivers were born, thrown like gladiators into the ring. The drivers were legendary with charisma and raw talent, but many of them paid the ultimate price. 1 follows the story of the drivers who raced on the edge and those who stood up to change the sport forever. It is about the greatest show in the world: Formula 1.